Found this idea on a fellow blogger and gave it a try. 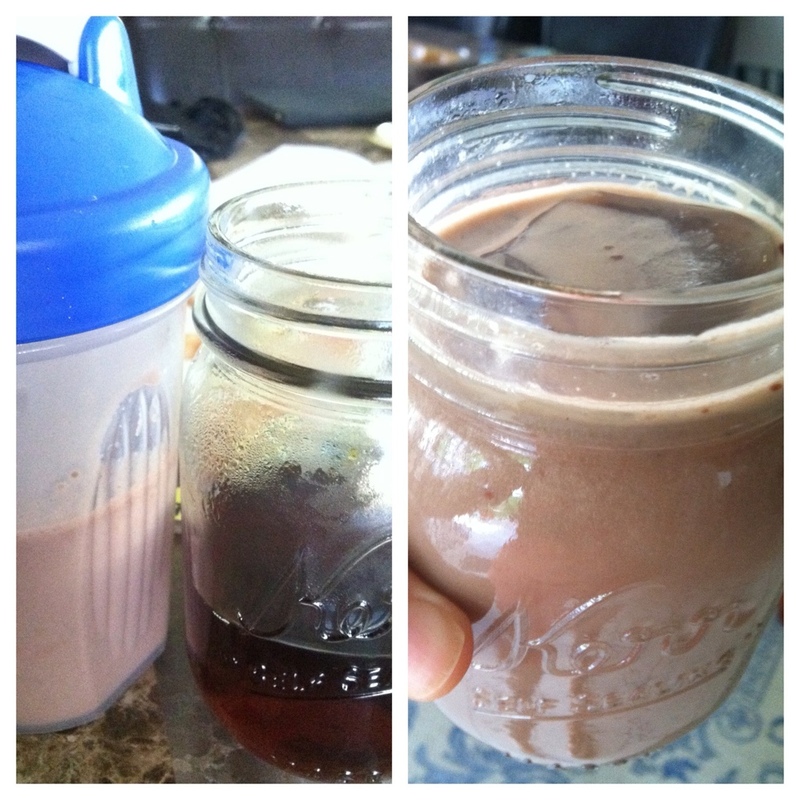 Just mix almond milk with chocolate protein powder with iced coffee. As simple as that!